A stork bite is a vascular lesion quite common in newborns consisting of one or more pale red patches of skin. 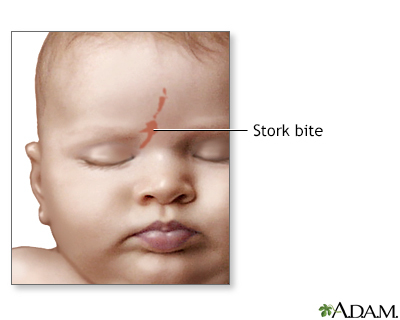 Most often stork bites appear on the forehead, eyelids, tip of the nose, upper lip or back of the neck. They are usually gone within 18 months of birth.